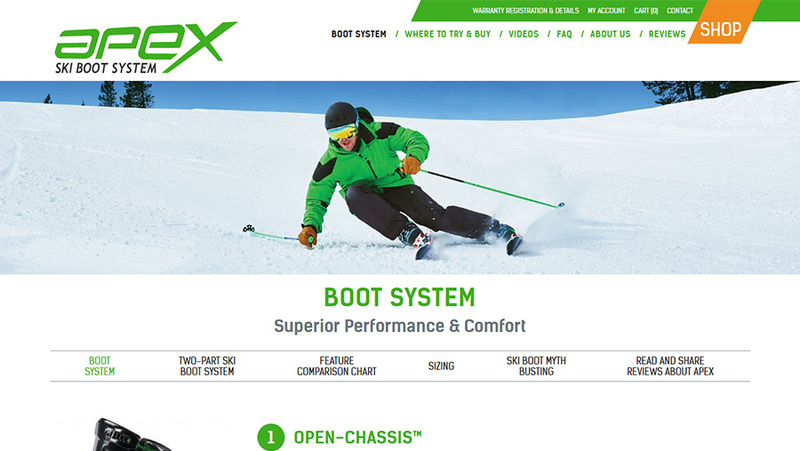 APEX SKI BOOTS is an e-commerce website of boots and their boot system blends the comfort, fit and warmth of a snowboard boot into a revolutionary Open-Chassis™ design that is unlike anything on the market. 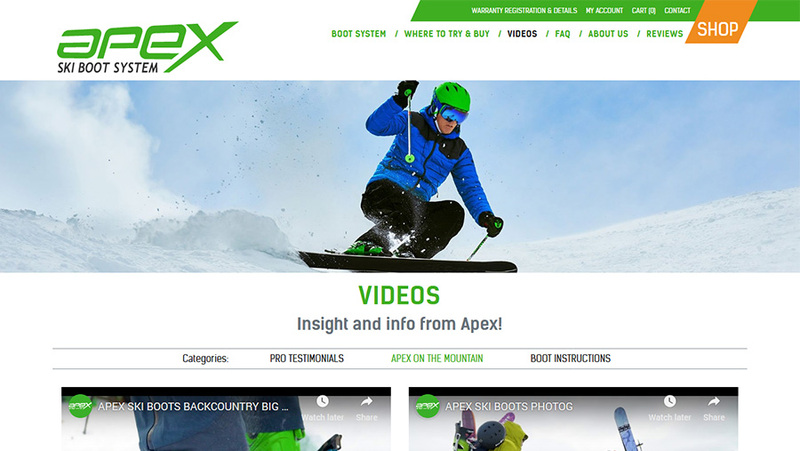 This website was developed in Shopify and deployed using CDN. Contact us today for similar sites.